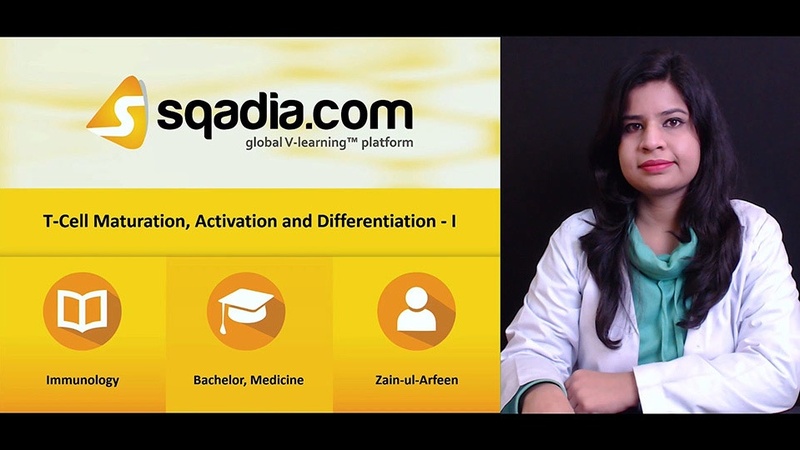 T Cell Maturation, Activation, and Differentiation is elaborated in this Sqadia video. The recognition by most T cells from recognition by B cells is MHC restriction. The final stages in the maturation of most T cells proceed along two different developmental pathways, which generate functionally distinct CD4+ and CD8+ subpopulations that exhibit class II and class I MHC restriction, respectively. In the thymus, developing T cells, known as thymocytes, proliferate and differentiate along developmental pathways that generate functionally distinct subpopulations of mature T cells. Positive selection, permits the survival of only those T cells whose TCRs are capable of recognizing self-MHC molecules. It is thus responsible for the creation of a self-MHC-restricted repertoire of T cells. The other, negative selection, eliminates T cells that react too strongly with self-MHC or with self-MHC plus self-peptides. It is an extremely important factor in generating a primary T-cell repertoire that is self-tolerant. T-cell precursors arrive at the thymus, they do not express such signature surface markers of T cells as the T-cell receptor, the CD3 complex, or the coreceptors CD4 and CD8. The pre-TCR recognizes some intra-thymic ligand and transmits a signal through the CD3 complex that activates signal-transduction pathways that have several effects: 1) Indicates that a cell has made a productive TCR β-chain rearrangement and signals its further proliferation and maturation. 2) Suppresses further rearrangement of TCR β-chain genes, resulting in allelic exclusion. Renders the cell permissive for rearrangement of the TCR α chain. 3) Induces developmental progression to the CD4+8+ double-positive state. T-cell development is an expensive process for the host. An estimated 98% of all thymocytes do not mature—they die by apoptosis within the thymus either because they fail to make a productive TCR-gene rearrangement or because they fail to survive thymic selection. These single-positive cells undergo additional negative selection and migrate from the cortex to the medula, where they pass from the thymus into the circulatory system. Random gene rearrangement within TCR germ-line DNA combined with junctional diversity can generate an enormous TCR repertoire, with an estimated potential diversity. thymocytes undergo two selection processes in the thymus: Positive selection for thymocytes bearing receptors capable of binding self-MHC molecules, which results in MHC restriction. Cells that fail positive selection are eliminated within the thymus by apoptosis. Negative selection that eliminates thymocytes bearing high-affinity receptors for self-MHC molecules alone or self-antigen presented by self-MHC, which results in self-tolerance. Early evidence for the role of the thymus in selection of the T-cell repertoire came from chimeric mouse experiments by R. M. Zinkernagel and his colleague. 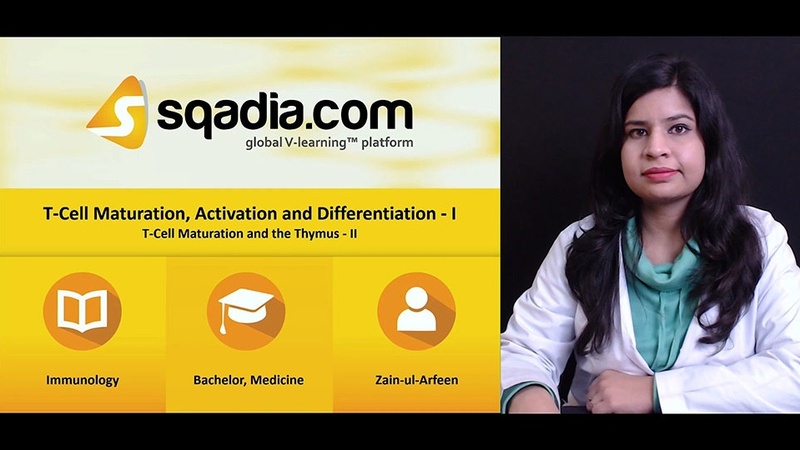 Positive selection takes place in the cortical region of the thymus and involves the interaction of immature thymocytes with cortical epithelial cells. During negative selection, dendritic cells and macrophages bearing class I and class II MHC molecules interact with thymocytes bearing high-affinity receptors for self-antigen plus self-MHC molecules or for self-MHC molecules alone. Direct evidence that binding of thymocytes to class I or class II MHC molecules is required for positive selection in the thymus came from experimental studies with knockout mice incapable of producing functional class I or class II MHC molecules. Thus, the absence of class I or II MHC molecules prevents positive selection of CD8+or CD4+ T cells, respectively. Further experiments with transgenic mice provided additional evidence that interaction with MHC molecules plays a role in positive selection. Analysis of thymocytes in the transgenic mice revealed that female mice contained thymocytes expressing the H-Y– specific TCR transgene, but male mice did not. Experimental evidence from fetal thymic organ culture (FTOC) has been helpful in resolving this puzzle. In this system, mouse thymic lobes are excised at a gestational age of day 16 and placed in culture. The avidity hypothesis asserts that differences in the strength of the signals received by thymocytes undergoing positive and negative selection determine the outcome, with signal strength dictated by the avidity of the TCR-MHC-peptide interaction. The differential-signaling hypothesis holds that the outcomes of selection are dictated by different signals, rather than different strengths of the same signal. The differential-signaling model provides an alternative explanation for determining whether a T cell undergoes positive or negative selection. This model is a qualitative rather than a quantitative one, and it emphasizes the nature of the signal delivered by the TCR rather than its strength. MHC-peptide complexes that deliver weak or partial signals to their receptors, and negative selection results when the signal is complete. At this point it is not possible to decide between the avidity model and the differential-signaling model; both have experimental support. The stochastic model suggests that CD4 or CD8 expression is switched off randomly with no relation to the specificity of the TCR. Only those thymocytes whose TCR and remaining coreceptor recognize the same class of MHC molecule will mature.